Born in St. Croix, in the US Virgin Islands, and hired by the famous reggae label Afrikan Roots Lab, the singer Dezarie was recently in Brazil. She visited in São Paulo the dependencies of White Monkey Recordings, official recorder of the singer Negra Li, where she recorded the new song "Strong Woman", with the participation of the Brazilian singer. Dezarie wanted the participation of a Brazilian singer in music and began to research options of artists with whom she identified and whose profile had to do with the lyrics of the music, which values ​​the strength of the woman. He ended up getting to the biggest representative of national rap because his manager knew the reggae singer Junior Dread, the husband of Negra Li. For the Brazilian, recording with Dezarie was a great honor, as the singer is an icon of reggae and an important female representation in the genre worldwide. 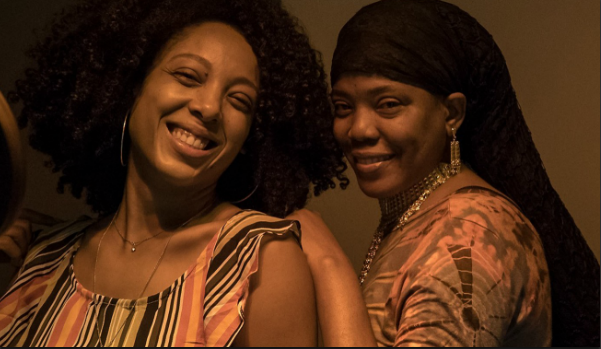 "Singing with Dezarie brings a sense of being globalized and connected to the sound of reggae, a musical style close to rap. It also evokes the respect and appreciation of black culture and themes such as injustice, resistance and love, "says Li. According to the Brazilian, her most recent album, "Roots", uniquely highlights this musical mix, blending rap with trap, MPB and samba, reggae and pop with R & B in a fun and modern way. Latin and African rhythms are also added. All connected by Brazilian sound and contagious beats. "This is my participation in Dezarie's new album. The music goes beyond the limits of time and space and puts us in connection with the world, "he says. Dezarie, who has five albums released and awards such as Best New Female Reggae Artist, received in 2001 in Atlanta (USA), has performed several times here, being very well received by the public and critics. Among his best known songs are "Gracious Mama Africa", "Strengthen Your Mind", "Do not Cry" and "Love Yourself". Edited 1 time(s). Last edit at 01/27/2019 11:04PM by Ras Matches. Maybe that explains why a few of my videos of her have blown up lately, mostly in Brazil. In the last 28 days the song 'Things Won't Be The Same' from Reggae on the River a couple years ago has gotten 59,644 views from brazil, 1768 from the US, 1382 from France, 573 from Trinidad and Tobago, 407 form the UK, and my favorite, 380 from Reunion Island. Small island, big reggae lovers. Edited 1 time(s). Last edit at 01/28/2019 02:29AM by nomotrouble. Where can I find more info? Any singles out? Turns out they have a new manager and website. She has a show in Brazil this May, I wonder if she’s been living there in Brazil since last year? Probably. I believe she was just on tour there with Groundation.